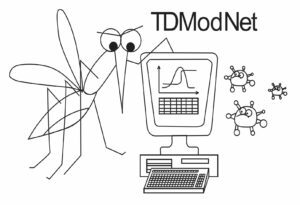 The infection Analytics team at UNSW Sydney is seeking a post-doc / research fellow in mathematical biology, to model infection dynamics in malaria infection. The Infection Analytics Program at the Kirby Institute is an interdisciplinary team including applied mathematicians, physicists, and computer scientists, who collaborate widely with around 30 experimental groups around the world to model within-host and epidemiological aspects of infection and immunity. The group has a high publication output and a strong history in successful interdisciplinary training. It is an ideal venue for students with a quantitative background (mathematics / physics / statistics) aiming to establish themselves in mathematical biology. UNSW Sydney is a ‘top 50’ ranked global university, situated 5 km (3 miles) from Central Sydney, and 1.5 km (1 mile) from Sydney’s beaches. The position of Post-Doctoral Fellow will be responsible for mathematical modelling of experimental data from animal models and human infection. This will involve developing familiarity with the malaria literature and underlying biology, biostatistical analysis, and ODE and stochastic modelling. Demonstrated mathematics, statistics, or computer programming skills relevant to modelling of experimental data. Interest in modelling in immunology and infection dynamics. Closing date: 24 Feb 2019.